I have been away from this blog for far too long due to life becoming hectic. I am now intending to post at least once a week so here goes with my latest contribution. I always find making cards for men very difficult but Sue Wilson has got the answer with her Heraldic Square die. 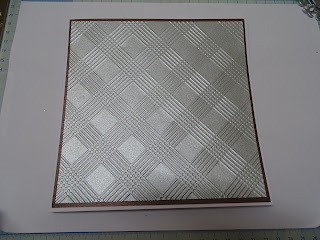 I used pearlised card in colours brown and silver, embossing the silver card with Picnic Plaid embossing folder by Die'sire. 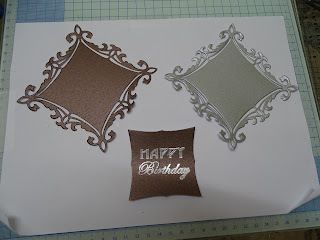 I then cut out 2 Heraldic Squares and set them together using foam pads before stamping and embossing the sentiment onto brown card and placing in the middle of the Heraldic Square before placing it into the centre of the card. Four corners where then placed in each corner. 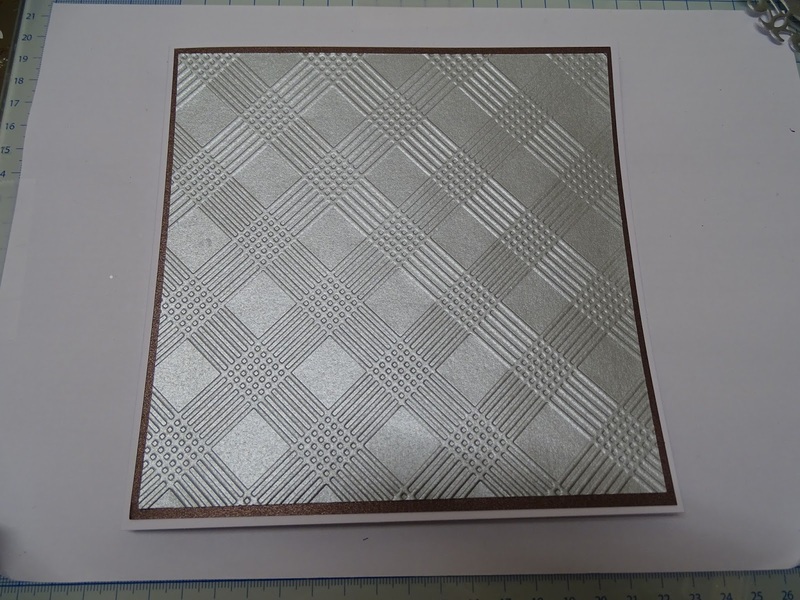 Completed card measures 7" x 7"